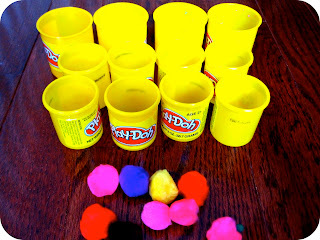 Materials Needed: little containers (I love finding ways to reuse play-doh containers), poms (our were kindly provided by our friends over at Craftprojectideas.com). This is easy peasy, but provides lots of fun. Just organize your containers however you want... we did ours kinda like one of those carnival games where you toss the ball... except in this version (unlike at a carnival) you almost always get one in! 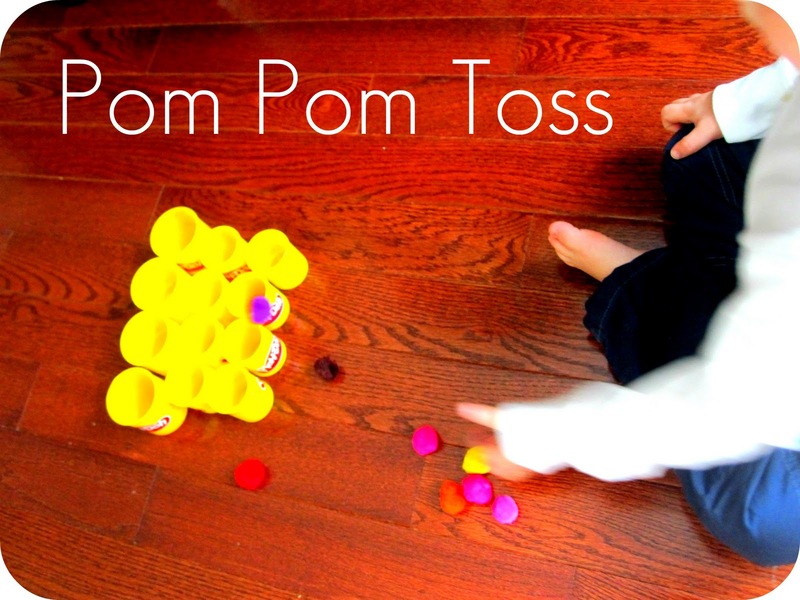 We practiced counting the poms while we tossed them. Once we were done throwing all the poms, we checked to see which container had the most and which container had the least. 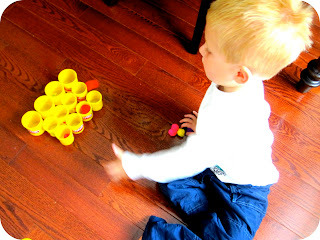 The best part is that we could arrange and then re-arrange the containers to change up the activity and make it easier or harder. I also love how quietly the poms fly through the air. This is a perfect game for when my daughter is napping. 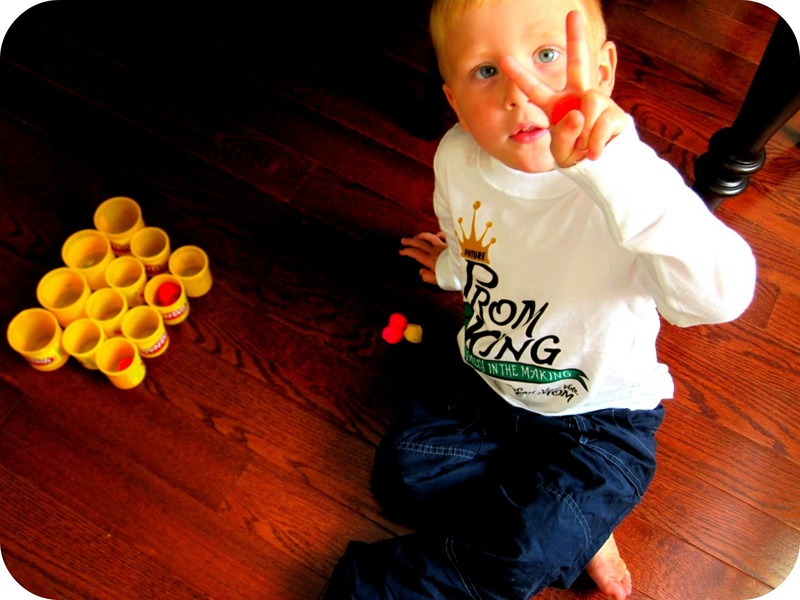 At our house, simple activities like this end up being the most fun! What other skills would you incorporate into this activity? How would you change it/tweak it for your child or class? You could graph them afterward as an extension. Oh this is fun! Great idea! What fun! I never think to play with those pom poms, but need to. Thanks for linking up to Monday Madness! Great activity. My older kids would love this on a rainy day. Thanks for sharing at Monday Madness. Hope you come back and share again tomorrow.